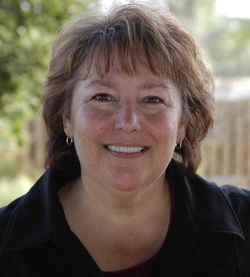 Kathy Fettig was born and raised in Minot, North Dakota. The fourth of eight children, her home was always filled with the sound of playing children, pets and laughter. One thing her mother found that helped keep the noise to a “dull roar” was to engage the children in art. Kathy began drawing before she could write and has never stopped. Kathy attended Minot State University and completed her degree in art through the Bismarck State College commercial art program. She has held a variety of jobs over the years including 10 years working in television broadcasting, a number of years in education, and returning to her art roots by working part time at BAGA for several years. She also works as a freelance writer for an educational publisher, working on children’s games. After retiring from BAGA, Kathy joined BDAC-Bismarck Downtown Artist Co-op as a Gallery Member, Level I. She can be found working a shift, usually Thursdays, and painting as she works. She has been involved in several special projects through the co-op including the painting a 16’ x 8’ scarecrow mural for Papa’s Pumpkin Patch with other BDAC artists and writing the co-op newsletter. Kathy resides in Bismarck with her husband, Pete. They have a son, Aaron, who is employed by UND as a flight instructor and stage check pilot.